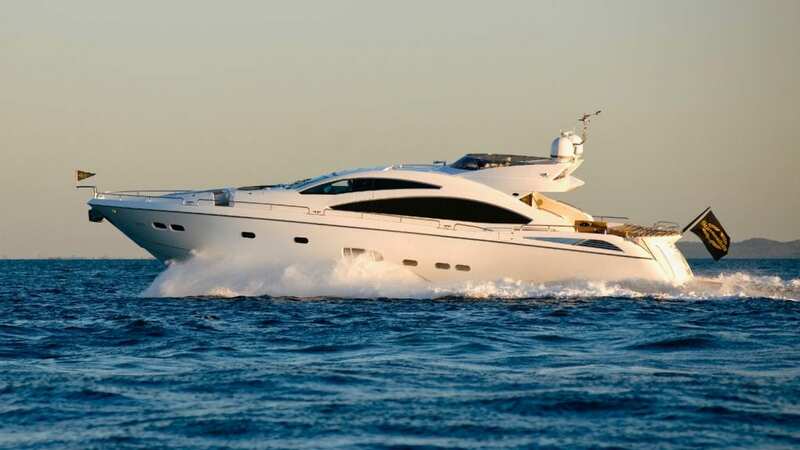 Ocean Alliance, in conjunction with Standen Marine, is offering a 2010 84-foot Sunseeker Predator for sale. This British-built pleasure craft has a top speed of 37 knots and will offer her new Owner an exciting journey from one of the leading luxury boating brands in the world. The motor yacht has accommodation for eight in four staterooms – the Owner’s stateroom taking the full 21-foot beam – all outfitted in a modern, minimalist interior. On the main deck is a three-seat race-style helm fronting a large saloon and formal dining with discrete access to the custom-built galley and crew quarters. 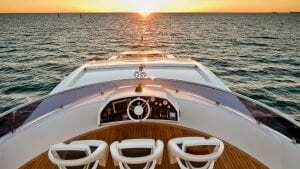 The foredeck, sports bridge and cockpit offer ample entertaining areas for the sun lovers. In name as in nature, this motor yacht is a predator commanding the sea with its twin MTU engines and Trac fin stabilisers providing an exhilarating and stable journey. In port, the yacht has hydraulic stern and bow thrusters whilst the air conditioning system and generators have recently been overhauled for improved performance. Guests can make the most of the hydraulic swim platform and the entertainment system throughout the yacht. Currently laying in Australia, this motor yacht is on the market for AUD$4.2 million. To register your interest in the Sunseeker Predator 84, receive the full specifications or arrange a private viewing, contact Ocean Alliance on info@oceanalliance.com.au. Ocean Alliance is a MYBA (worldwide yachting association) accredited broker adhering to the highest standards of service, transparency and client advocacy.